Since 2008, Fresno Ultimate Martial Arts has provided its members with a road map to success based on self-defense, confidence and goal-setting skills. When I opened my school in 2008, I made a commitment to serving and empowering the community of Fresno & Clovis by teaching children and adults the confidence, leadership, and fitness skills that can only be achieved through martial arts. Our programs have a strong focus on personal development. The foundations of our morals, values and core character traits are formed in our early years. For this reason, the programs at Fresno Ultimate Martial Arts are an essential way to enhance the growth and personal development of young students of all ages. Martial Arts & Jiu Jitsu Schools? Taekwondo is the style of martial arts practiced by Fresno Ultimate Martial Arts students. One more reason you will love martial arts at Fresno Ultimate Martial Arts! Kickboxing Classes tailored for everyone! We've had our son here for over two years now. He'd been asking to attend martial arts classes & chose Fresno Ultimate Martial Arts because of their curriculum & how they integrate ethics & life lessons into their classes. My son loves to attend the classes. The atmosphere of this school is welcoming & uplifting for the children & Sensai Rudy makes it fun for children of all ages. My son has learned many good values here especially patience & confidence. I recommend this school to any parent who'd like to place their child in a positive environment. I'm also impressed with the community involvement of the school, they're always willing to give. Great job Ultimate Martial Arts! I checked out a free class for my daughter. She loved classes. Right from the moment we walked we were greeted by the head instructor. The facility is by far one of the nicest in Fresno/ Clovis, it's spacious, clean and inviting. After trying just once class I am definitely signing my daughter up. Sensei Rudy and his staff are very good with the kids. Sensei is very easy to talk to and has been available to answer questions. Kickboxing and Cage fitness every Monday and Wednesday night are great classes to take to build your confidence, get your mind and body into shape. We don't do just cardio! So if you are expecting to just build your cardio level that is not the case here. We do cardio plus total body workouts and light-medium sparring with gear. If you don't have the gear, don't worry Sensei will make sure you get to do some light sparring, but without the bruises. This is a family Dojo, nothing extreme and nothing to be afraid of to try! Amazing would be the best way to describe Fresno Ultimate Martial Arts. My son has been going for about a year now and he just loves it. He is now more confident. Sensei Rudy teaches the kids how to be good, give to the community and anti - bullying. I have just recently joined the kickboxing and cage fitness class and I love it. Sensei as well as your team mates are very helpful and make you feel very comfortable. It doesn't matter if you have been there 2 years or 2 days they work together as a team and that's what I love about it. Sensei Rudy and Wendy are just amazing people and have become part of my family. An amazing school with a Sensei who sees it as his duty to inspire others & lead by example. I am in awe of the great work that is put into all the students here at Fresno Ultimate Martial arts. My kids & I are lucky to be apart of this outstanding family. Sensei Rudy truly cares about his students & makes it his personal mission to motivate each & every mind that attends his school. 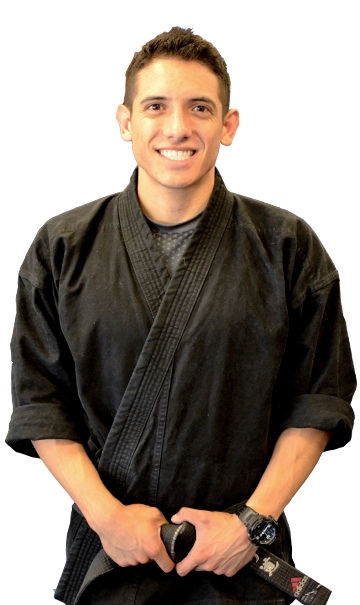 The profound customer service given by the staff at Fresno Ultimate Martial arts shows true dedication and passion for the services being offered. The patience displayed & the encouragement given to all students express how truly devoted he is to the success of his students. Our experience here has truly been life changing not only within myself but my kids as well. Thank you, Sensei Rudy & Wendy, for this amazing experience that has had such an unimaginable change in one's self. Great example for all children. I love how Sensei Rudy has boosted my son's confidence 10 fold! He does an amazing job building a child up but at the same time teaching the value of discipline, honor and respect. He does a great job teaching the martial art forms along with Bully training, weapons training with multiple different types of weapons, and sparing. He encourages kids to work hard in school and set goals for their future. We couldn't be happier with our experience at UMA and highly recommend it! To this day, I am still in awe as to how Sensei Rudy & Wendy continue to do what they are doing. From humble beginnings of teaching in the park to having his own dojo, Sensei Rudy has made quite a name for himself & it is well deserved! He leads by example. Not only does he teach MMA, he also teaches these young minds how to be good, law-abiding citizens & how to give back to the community! From fundraisers to anti-bullying seminars, Sensei has reached out not only to his students but the whole community! I can honestly say that my daughter has great respect for her Sensei & Wendy & her behavior as a whole has improved since we signed her for classes here! This dojo has become part of my family! When I first came to UMA, I watched Sensei Rudy teach his students. No matter their age, he has an amazing amount of patience & respect for everyone. Sensei has great inspirational quotes that he incorporates into all of his teachings. At first, I was shy about learning Kickboxing & Brazilian Jiu-Jitsu. I didn't want to make a mistake, mainly because I thought other experienced students would laugh or make fun of me. Not here at Ultimate Martial Arts! Everyone that attends UMA is like a family that wants each individual to accomplish their goals in Martial Arts & in Life. This is my second home, Love Ultimate Martial Arts! I'm in the best shape of my life, thanks to Sensei Rudy!